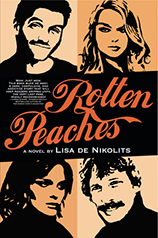 The latest book by Beach author Lisa de Nikolits is Rotten Peaches. Photo: Submitted. To say Beach author, Lisa de Nikolits is a specialist in cross-genres would be something of an understatement. It’s been a part of her DNA almost since she started writing. And, the author credits her upbringing for her unconventional novels. Born and raised in South Africa, de Nikolits moved to Canada in 2000. She’s the author of eight novels and the recipient of several awards and honours. She is also a Chatelaine Editor’s Pick and Canadian Living Magazine Must Read. “When I pick a book, the most important thing I want is to forget about my life, worries and concerns,” de Nikolits said. As a child, her parents, who de Nikolits said are ‘free-spirited’ taught her to not think in a conventional way. In order to go back to the land, and nature, when de Nikolits was 14, her parents bought six acres of land with no electricity or water. There were only two rooms with two mattresses and no closets. Showering at school and having a hand pump for water, de Nikoits lived this way for a year. Living like this, she said, had created a way of thinking that others probably wouldn’t. “A lot of people who have read my books always say ‘Oh my god! Where did you get this idea? Or how do you think like this?’,” de Nikolits said. Rotten Peaches, is her eighth and most recently published novel. Besides her upbringing, de Nikolits also has a sharp mind and a stellar ability to remember things. When in need of an idea, she said she just flips through files in her brain. She also occasionally worries about what others might think of her if they saw her Google search history. Her books, unsurprisingly, require a lot of research; most often the strangest diseases in the world, sleep therapy, asylums and even demonic positions. The author said she doesn’t fit into the social norms. In a way, she is one of her characters, Amelia in The Nearly Girl (2016). “Amelia, is mostly who I am naturally. She doesn’t quite fit into society. She’s a loner who goes to the beach in the middle of winter and parties on the wrong day,” de Nikolits said. Her previous works, all published by Inanna Publications include The Hungry Mirror (2011 IPPY Awards Gold Medal for Women’s Issues Fiction); West of Wawa (2012 IPPY Silver Medal Winner for Popular Fiction and a Chatelaine Editor’s Pick); A Glittering Chaos (tied to win the 2014 Silver IPPY for Popular Fiction); The Witchdoctor’s Bones, Between The Cracks She Fell (won a Bronze IPPY Award 2016 for Contemporary Fiction) and The Nearly Girl. Her next book, The Occult Persuasion and the Anarchist’s Solution, also by Inanna Publications, will be published later this year. She is also a member of the writing group, Mesdames of Mayhem, which she joined in 2013 just after the release of the groups first anthology. She’s since written three short stories all published in anthologies. In 2013, Madeleine Harris-Callway and 14 others formed the Mesdames of Mayhem. Harris-Callway belongs to two writing-critique groups and said both groups merged to form Mesdames of Mayhem. The Mesdames’ first anthology Thirteen (Carrick Publishing), features crime stories from 13 authors and was published in 2013. Thirteen has two Arthur Ellis Award nominations for Best Short Story: Watermelon Weekend by Donna Carrick and The Emerald Skull by Sylvia Maultash Warsh. The journalist Christie Blatchford once posited, in a story about the notorious psychopathic Canadian husband and wife child killers (who shall remain nameless so as not to give them any more notoriety), that, “they seem to find each other.” This theory has borne itself out in Lisa de Nikolits’ latest novel, Rotten Peaches. The two main characters, Leonie and Bernice, find themselves irresistibly drawn to sociopathic men; JayRay and Dirk respectively. That the women are themselves carelessly and thoughtlessly egotistic only makes their compulsions that much more bewildering. But it’s no t the fact of whether or not they can see themselves mirrored in their choice of partners, but that they remain transfixed by some law of attraction that only people like that have for each other, that makes Rotten Peaches such a compelling read. 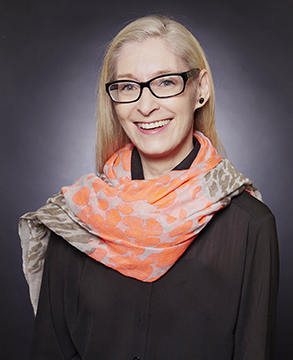 Leonie has the perfect family set-up: a loving, devoted husband, two wonderful daughters, and a successful career as a sales agent for cosmetic anti-aging creams. But she somehow finds her life stifling, and uses the many trade shows she has to work as ways to run away from home, literally. It is at one of the trade shows that she meets JayRay, a handsome con man on the make. He has a plan to out a famous South African author as his half-sister as a way to shake her down for part of her fortune. Bernice, the author, still lives in post-apartheid Johannesburg like the rich privileged white woman she was raised as. Her books, part cook book, part self-help psycho-babble, have made her a wealthy international celebrity. She has chosen to become the mistress of Dirk, a proud Afrikaner family man who has no qualms about keeping a mistress…within certain boundaries. Both women are too completely wrapped up in their own self-interests to notice how what they are doing affects so many around them. Through a complete lack of empathy, both women abandon those who love them, and soon find themselves immersed in a shadowy world of subterfuge and terrorism. Rotten Peaches is written in the first person point of view by both female leads. For the first section, the chapters alternate, a device that lets the reader see, very quickly, how much alike these two women are. The second and third sections are more in-depth, devoted to one woman each section. de Nikolits takes time to flesh out her two leads; their backgrounds, all the while advancing the plot. Both Leonie and Bernice are forced to come to grips with their stupidity, and seem to seek ways out, but the situations both find themselves in will force a reckoning. The reader eagerly anticipates the inevitable clash of personalities when all four come together to battle it out. Lisa de Nikolits is a member of Mesdames of Mayhem, Crime Writers of Canada, Sisters in Crime, and the International Thriller Writers. Rotten Peaches is her eighth novel. She is originally from South Africa, came to Canada in 2008, and now lives in Toronto.